Drupal is the most powerful content management system which is used to develop ecommerce applications, social media websites, enterprise websites and many more. Web development in Drupal has been our one of our core strengths which has directed Virtueinfo towards enormous success in the IT industry. Virtueinfo is a leading Drupal development company and has successfully completed large scale Drupal development projects for clients all over the world. Our dedicated Drupal developers have built many high quality ecommerce portals, social networking sites, business websites and other personal websites. We are also expert in providing custom made drupal web development services with the use of built in plugins and components. The major advantage Drupal has over other CMS is that it is an open source that means development cost of a company will be reduced to a great extent. Most of the developers prefer web development in Drupal as it includes more than twenty-nine thousand modules and two thousand different themes. Also Drupal is a highly customizable CMS that means developers can develop a website exactly as per the client's requirements. Drupal comes with many advanced functionalities like user management, multiple content types, tracking and statistics, inbuilt search and many more. Drupal is completely content friendly CMS as it allows to easily create and manage content that also includes allowing and disallowing user comments. User management is also a key feature in Drupal as the admin can easily manage the users and assign the rights and actions that a user can perform within the website. Another major benefit of using Drupal is that it is very SEO friendly and has features such as automatic sitemap generation, customized metadata, user friendly urls and many more. Drupal has its own tracking and statistics and it can also be integrated with third party tracking tools like Google Tag Manager. 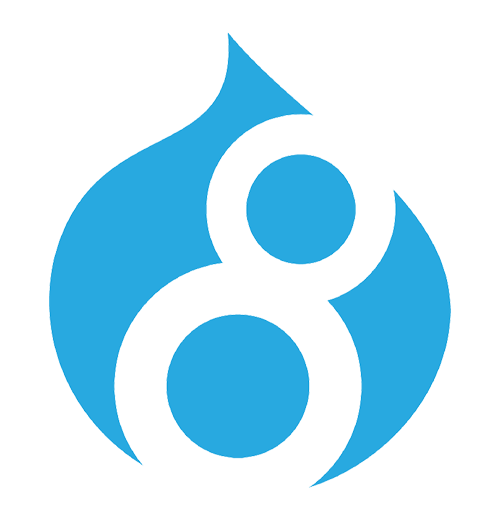 Drupal provides thousands of useful plugins that can be integrated on the website and as it is an open source developer can also create their own plugins. Our talented Drupal developers provides the below services to clients all over the world. Virtueinfo has built highly interactive and scalable websites that allows dynamic content management and the option to reuse content across multiple channels. We offer decoupled Drupal solutions that frees the applications from backend restrictions and allows the developer to utilize any technology to render the front-end experience. Virtueinfo has created custom made modules that enables smooth migration to Drupal which also includes TYPO3 and Big Medium migration to Drupal. We highly recommend Drupal for developing any ecommerce application. Our ecommerce solutions include developing a user friendly website where visitors can buy products securely and without any hassle. Virtueinfo offers Drupal performance audit which includes identifying the issues that impact site performance and provide effective solutions on how to resolve them. Our performance audit services include performance testing, security testing, infrastructure review and Drupal audit report. 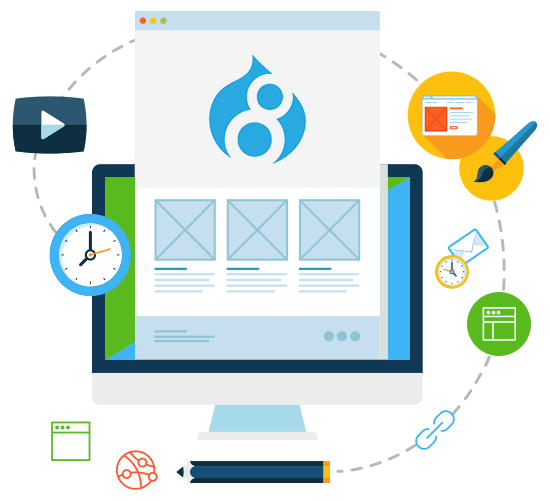 We offer staff augmentation services for Drupal where we analyze the project requirements and assign dedicated Drupal developers for a particular project in order to develop the project effectively. Virtueinfo offers custom made drupal theme development services. We design themes as per the client's business thus making it look professional as well as innovative. Our certified Drupal developers will provide Drupal 8 training to site admins and developers, which will include configuration development, module development and migration from previous version of Drupal.